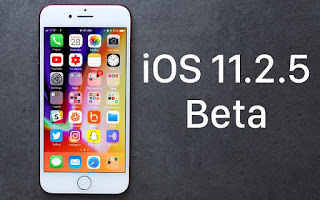 Apple realeases iOS 11.2.5 and you can down it now and upgrade to more features. The iOS 11.2.5 beta 3 software is now available to registered developers. The update is available over the air or through Apple’s Developer Center. There’s no word yet on the features that might be included with iOS 11.2.5. but it is given that it’s an x.x.1 update, though, it’ll likely be focused on tackling bugs and improving general performance of devices. Also releasing today is watchOS 4.2.2 beta 3. Developers can snag this update by going into the Watch app on their iPhone and then selecting General > Software Update. Apple hasn’t said when it plans to release iOS 11.2.5 or watchOS 4.2.2 to the public. ← How To Add Related Post With Thumbnails To A Blog.